Written by Dr. Georgios Chatzopoulos and medically reviewed by iCliniq medical review team. In most countries, the most common reason for seeking dentist's help is severe tooth pain, bad breath or for teeth whitening disregarding their mouth cavity condition. According to my clinical experience, these patients already need a number of expensive treatments such as root canal treatment, crown placements, throrough periodontal therapies or deep fillings. The recommended frequency of a dental check-up is every six months. And, that is because it provides total control of gum health (with plaque and tartar removal) and tooth decay. Dental caries can be spotted at a very early stage and be treated with very small fillings or fluoride application. Periodontal diseases can also be prevented by undergoing regular tartar removal and deep scaling so that tooth structure loss is minimised and prosthodontic (replacement) therapies are not needed. I want to point out some examples of situations where preventive measures averted certain high-cost treatments. I am giving the two scenarios as prevention versus treating a bigger problem that it lead to. I have gingivitis. Gums are very painful. What do I do? What are the day-to-day habits that could affect the teeth? A) Dental caries on the enamel of molar (back teeth) is spotted during a regular check up and treated with a small filling. Pros: Minimum teeth drilling, very little time spent on the dental chair, preservation of tooth substance. B) Frustrated patient with severe tooth pain seeks dentist's help. The tooth decay has already infected the pulp integrity and an endodontic treatment (root canal treatment) is needed. Furthermore, a crown must be placed after the treatment to prevent the tooth from collapsing. Cons: Maximum teeth drilling, lot of time spent on the dental chair involving multiple visits, experiencing severe pain, and severe loss of tooth structure. A) Casual teeth scaling and tartar removal during six-monthly check up. Pros: Gum health is preserved, minimum time spent on the dental chair, bone loss is minimised while the person ages (lesser chance of losing the teeth). B) A patient comes to the dentist's office complaining about gum bleeding, loose teeth and pain. He will require extensive periodontal treatment by a periodontist (gums specialist). He may also need a tooth extraction and replacement. Cons: Irreversible bone loss, pain and suffering due to infection, loss of natural teeth, expensive replacement options (bridges or implants). These two are only a couple of examples for how much skipping health prevention costs you in the long run. So, try not to postpone your dentist appointments. Do not be afraid to visit your dentist. Dentists have only your best interests in mind. It is in your hands to take a positive approach and be proactive about maintaing your oral health and not wait until it is too late. 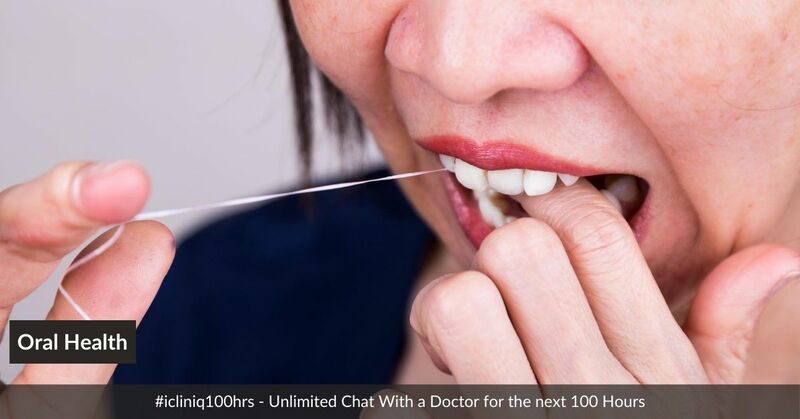 Do you have a question on Oral Check Ups or Dental Scaling?